As part of our on-going work with Next Steps South West, a university led collaborative outreach project to encourage students to progress on to Higher Education, Year 10 students watched the Barbican Theatre Company present a thought-provoking, one-hour in-school production that followed three students and their decision-making process for their post-18 options on Friday 8th February. This was a great way to get students in Year 10 thinking about their next steps after school and the reasons for and against going to university. 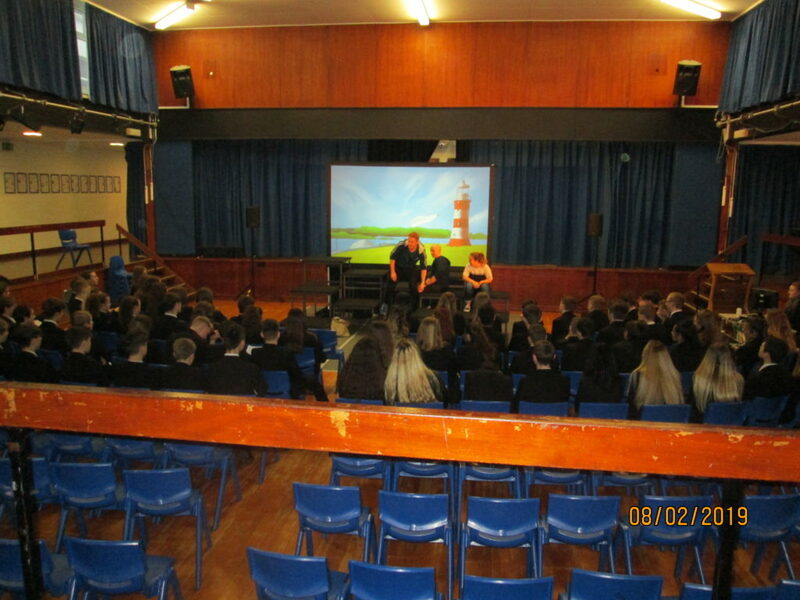 Selected students took part in a workshop following the performance where they were able to discover and explore what had happened to the characters in the play. These students were fantastic during the workshop – well done to all involved.